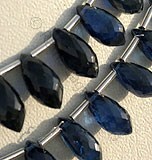 Kyanite Gemstone is one of the sought-after gemstones recognised for its healing properties. Kyanite is a polymorph of andalusite and sillimanit, which exhibits anisotropism property and is found in various location across the globe, such as Burma, Brazil, Austria, Kenya, Myanmar, India, Nepal, Russia, and the United States. It absorbs energy from the Earth and protects against Psychic intrusion. Kyanite are translucent and are mostly opted for making contact with the nature spirits. These translucent colour stones works with all the Chakras, especially on Heart Chakra. The stone allows to act with heart-centric cognizance. Kyanite is a polymorph of andalusite and sillimanit, which exhibits anisotropism property. 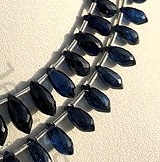 If you are looking forward to buy Blue Kyanite, ratnasagejewels.com is the most trustworthy platform to accomplish the desired purpose. 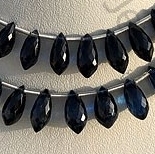 Kyanite is more of a collector gem, possess property of transparent with vitreous luster and are available in blue color with micro cut Chandelier Shape.